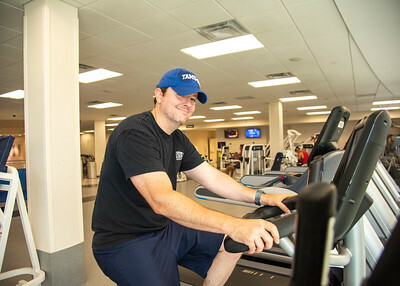 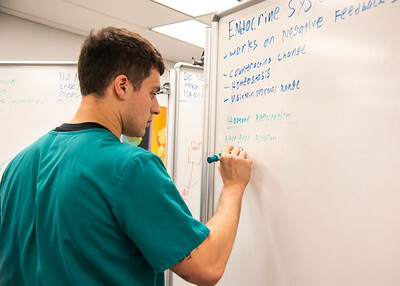 Nathan Millard uses the dry erase boards located in the Mary and Jeff Bell Library to prepare for his upcoming exams. 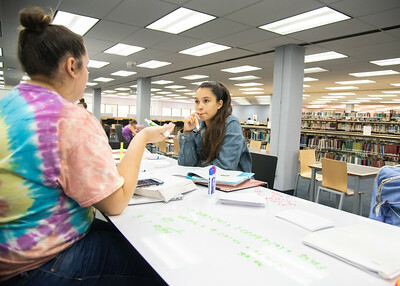 Anabel Roeder (left) and Victoria Quinones work on their Organic Chemistry assignments together on the second floor of the Mary and Jeff Bell Library. 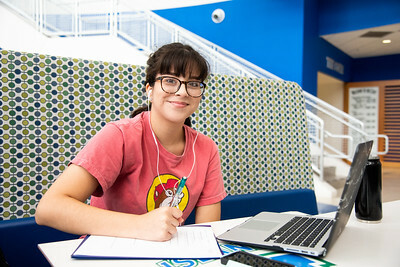 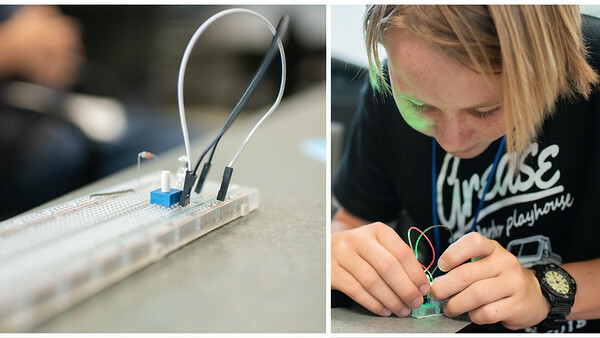 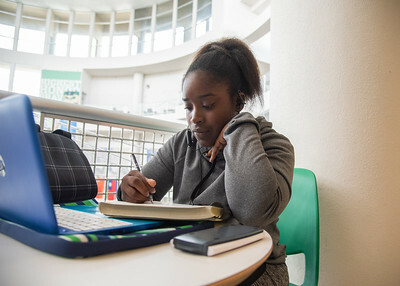 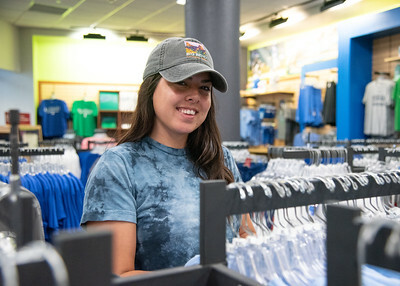 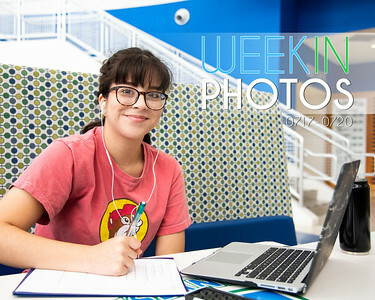 Sabrynna Cox focuses on completing her Chemistry assignments in University Center. 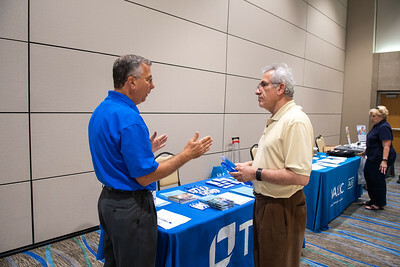 Dr. Amir Hormozi (right) stops by the TIAA table to get some information from vendor Charles Downing at the Open Enrollment & Benefits Fair. 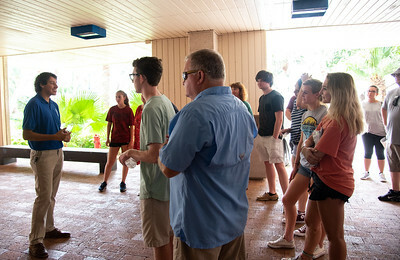 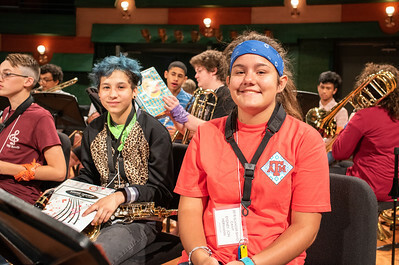 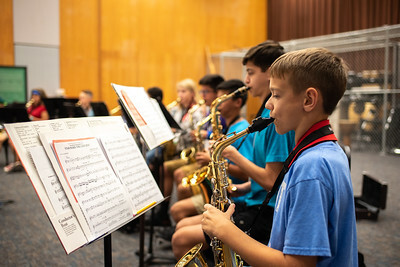 Islander Band Camp students practice scores from "Star Wars: The Last Jedi" in the Center for Arts. 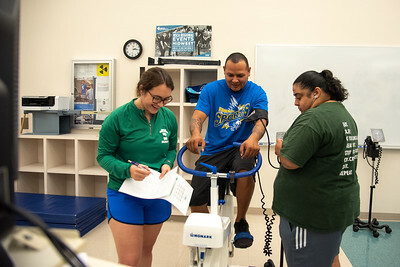 Hannah Waldrop (left), and Dany Escobar (right) collect data from Chris Dominguez for their Aerobic Power lab during a Kinesiology lab session.